If you have been using Swift for awhile, you may have heard about it being open source. And if you have been using Swift enthusiastically, you may have had some thoughts about wanting to contribute to the Swift project. You probably then went to Swift’s Github repo and looked at couple of files just to get scared away by the huge codebase. Well, I am here to tell you that “Yes! You can contribute something to Swift.” I won’t say that it’s easy but I will say that it doable and very rewarding. In this two part blog post series, I will divide the process of contributing to Swift into 5 phases. We will first cover parts 1 and 2 in this post. If you get stuck, ask people on Twitter or send an email to [email protected] The Swift community will help you. For me, I decided to contribute to Swift when I found a simple bug while working in Xcode. It had to do with Swift’s automatic fixit feature not providing a fixit for placing an @escaping keyword. Turns out, the Swift compiler provides a fixit when closure is a function parameter but does not provide one if the closure is a parameter of a returning function. Here’s the working version of the code. The compiler provides a fixit if the @escaping next to f: is emitted but does not provide one when the returning closure’s paramter’s @escaping is emitted. At this point, I thought I had found a bug but had no idea what to do next. So I asked people in the Swift mailing list and got this reply. You can see the bug here. So I left a comment on the wesite asking if I can take this bug as my beginner bug. Next day, I got a reply. This step is pretty mechanical so just follow the steps Apple tells you to follow. GO READ THIS but if you really don’t want to, here’s a summary; note that this summary only applies to macOS users. 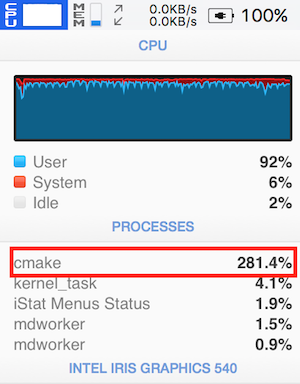 Your computer will get really hot for about 2 hours so step away from it and go do something else. 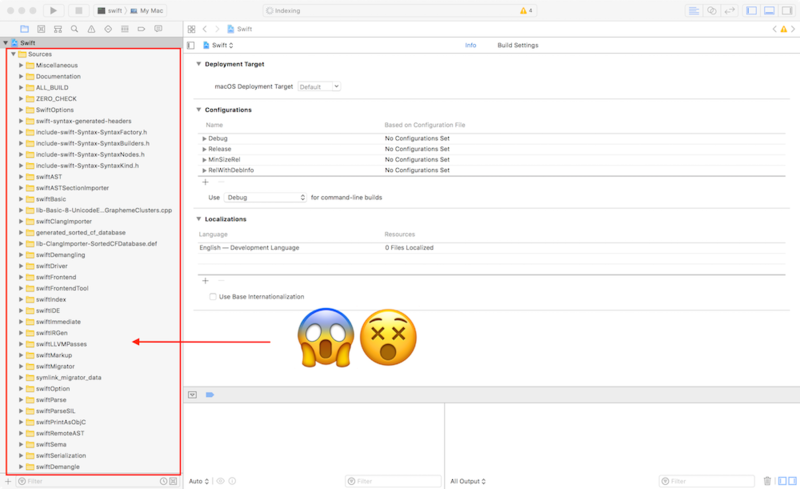 After 2 episodes of GoT, an Xcode project will have been generated in ./swift-source/build/Xcode-DebugAssert/swift-macosx-x86_64. Open the Xcode project and you will see a familar inferface with a bunch of files. Check out the 👉👉 NEXT BLOG POST to see the last three remaining steps. So… what actually happened was that the bug I described above turned out to be really really hard to fix. Fixing it would have involved some serious type system wizardry, something I don’t have. Because of this, Slava Pestov, one of the engineers at the Swift comipler team, suggested for me to work on this bug. What’s the lesson here? Make sure to ask questions along the way if you get stuck because the problem you are solving may be NP very very hard.